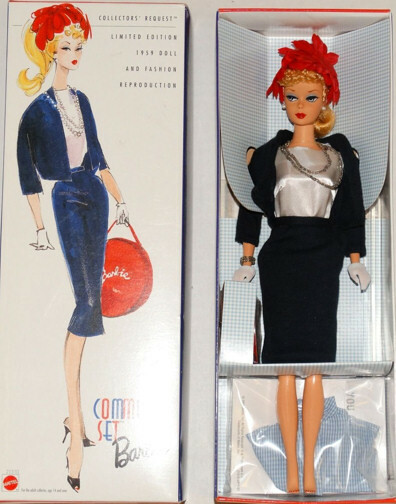 This is a reproduction of a blonde #1 ponytail Barbie in the vintage ensemble Commuter Set #916 (1959-1960). 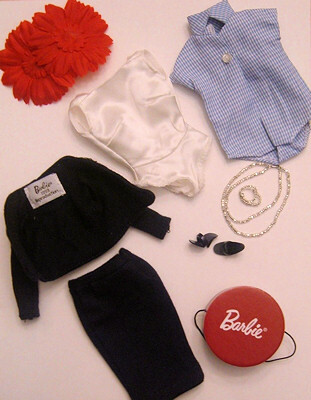 It was released in 1999 as the second doll in the Collector's Request Collection of Reproduction Barbie Dolls. It was a Limited Edition doll with an original price tag of $50. 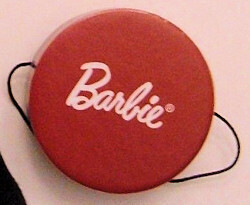 The jacket has a "Barbie 1999 Reproduction" black & white cloth tag. 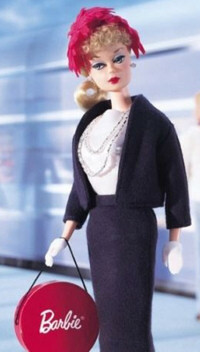 This is a very nice doll and ensemble. It was more of a collectors edition than some of the other more mass reproduced, but of course that makes it harder to find and more expensive. 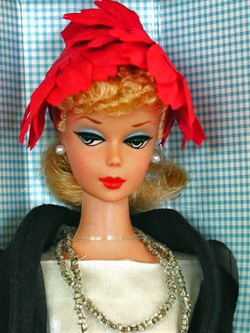 Like the original, this doll comes with two different blouses, a blue and white checked body blouse and a white satin shell. 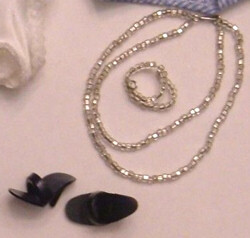 The checked blouse is packaged separately and is at the bottom of the box along with a pink reproduction Barbie Booklet. 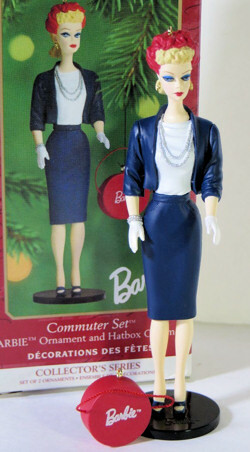 In 1999 there was a Commuter Set Ornament.